California’s Government officials are projecting a 0% allocation of its water from the State’s Water Project for 2014. The State Water Project’s principal reservoir is Lake Oroville, but there are other lakes and reservoirs that are a part of the state water system that have largely been effected by the current drought. The Sierra snow-pack is less than 15% of its annual downfall from previous years. Without an increase of annual snow-pack in the Sierra Mountains local reservoirs will continue to be empty. Picture of Uvas Reservoir Feb 15, 2014. The impact of the State Water Project allocation is not felt immediately.in the hardest hit areas experiencing drought. In fact, water allocation is still being discharged into ground and surface water tanks for distribution in the South Bay. Despite water still being pumped around the State Government officials have slated this years water allocation at 0%. This is down from an initial allocation forecast of 5%t for water deliveries in 2013. The Santa Clara Water District reports this is due to lack of funding for allocating water projects needed to help retain larger amounts of fresh water. The levels of the Uvas Reservoir in Unincorporated Mogran Hill reveal that back in 1973 the water level was less than 250 acre-feet. Drought conditions continued to steadily decline and then increase through 1977, 1984, 1988, 1990, and 1991. If it does not rain, it is expected that Uvas and many of other smaller reservoirs will reach their lowest levels. 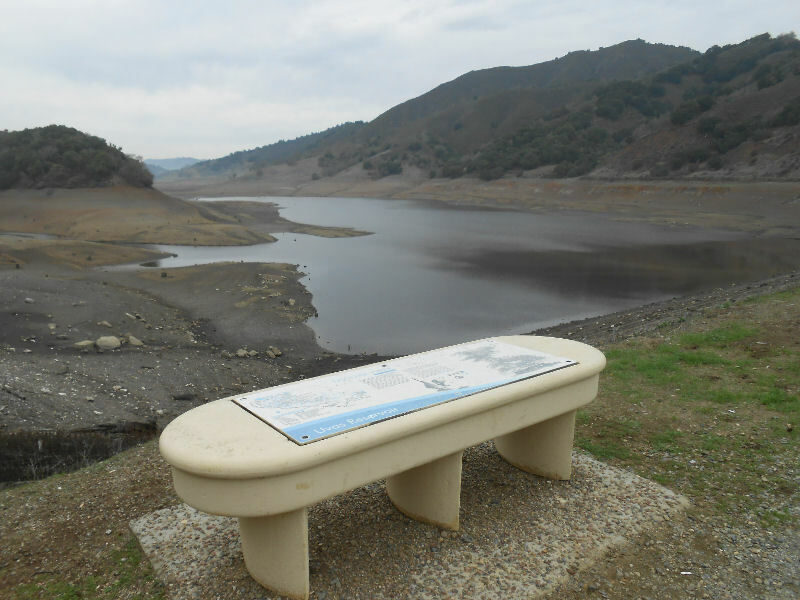 The Santa Clara Water District considers the Chesbro and Uvas reservoirs to be empty or nearly so. Despite some measurable rain fall from Jan 27 – Feb 15, these storms had little measurable impact on current water levels. According to the Santa Clara Water District’s records, before a brief storm hit the Chesbro only held 907 acre-feet increasing to 919 acre-feet after a brief rain storm. This means that the Uvas reservoir showed a gain of about 17 acre-feet. David Malcolm the owner of High Sierra Showerheads® said, “The compelling evidence that California is experiencing a drought is that the Chesbro, Uvas and Lexington reservoir is expected to continue to keep losing water, and is expected to be empty by the summer of 2014″. The last recorded level was in 1977 when all of California was forced to ration their water. Because of the limited supply of water, many water agencies have carryover water from last year that has not yet been delivered. In fact, conditions have become so dire that water agencies are turning to Sewage Waste Treatment Plants or (SWTP), for water supplies. These SWTP’s have largely been pumping water back into areas for ground water percolation. The Santa Clara Water District is currently using two of our three waste water treatment plants to help meet their need for water. The Sierra snow-pack is being reported at less than 15% of its annual downfall this year. Despite current conditions calling for rain, and possible snow flurries in the Northern Nevada/California boarder in the Sierra Mountains is only expected to increase the snow pack by a mere 5%. With such a low portion of the area covered with snow. An increase of 80% in snow-pack is needed to help combat California’s dire drought conditions.